Brandon's importance as a major centre in southwestern Manitoba was confirmed when it was selected in l883 as the headquarters for the newly created Western Judicial District of Manitoba. The Brandon Court House and Gaol was designed by C. Osborn Wickenden, architect of the Winnipeg (l883) and Neepawa (l884) court buildings. The skill of the architect and craftsmen is evident in the fine architectural detailing and intricate brickwork. 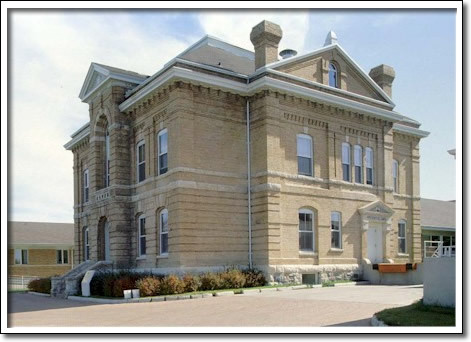 Officially opened in March l884, this Italianate-inspired structure is the oldest remaining court house on the Prairies. Completion of this structure ushered in an early stage of substantial government building construction in Manitoba. When the new Brandon Court House opened on Princess Avenue in l9l0, this structure was remodelled for gaol facilities. It served as a detention centre in l979. The gaol was demolished in l985. The renovated court house is now the Rideau Park Personal Care Home.